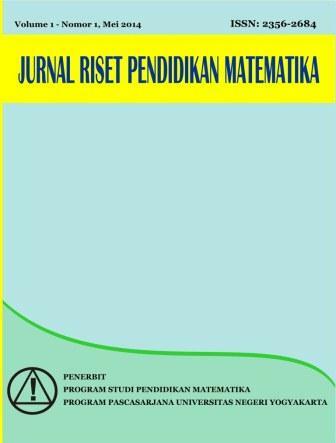 Jurnal Riset Pendidikan Matematika (JRPM) is a scientific journal in the field of mathematics education published twice a year (in May & November). Since April 2017, the journal has been ACCREDITATED by the Ministry of Research, Technology and Higher Education (RistekDikti) of The Republic of Indonesia as an achievement for the peer-reviewed journal which has excellent quality in management and publication. The recognition published in Director Decree No. 32a/E/KPT/2017 April 26, 2017, and effective until 2022. Please read this guideline carefully. Every manuscript sent to the editorial office of Jurnal Riset Pendidikan Matematika ought to follow the writing guidelines. If the manuscript does not meet the author guidelines or written in a different format, the article will BE REJECTED. Only submitted manuscript that meets Jurnal Riset Pendidikan Matematika format will be processed further.